Air duct cleaning: A standard house with six rooms gathers about 40 pounds of dist, dirt and allergens in the air ducts in one year. The information was confirmed by the NADCA (National Air Duct Cleaners Association). This is a huge health issue given that more than 35.000 dust mites can live in just one ounce of dirt and dust. As you are probably aware, they are packed with fungi, bacteria and mold. This is the reason why many experts agree that there are many homes in America where the indoor air is much more polluted compared to outdoor air. The situation gets even worse when the air starts spreading around the home when the HVAC systems are used. For instance, if you notice black or dark filtration lines located on the carpet, ceiling or the walls close to the vents this means that your vents are over due for cleaning. We recommend cleaning after flooding, water damage, and remodeling. At Ultra Clean, LLC, we care about your health. Allergies and Asthma can be triggered from all of the dust and allergens floating around in your home. 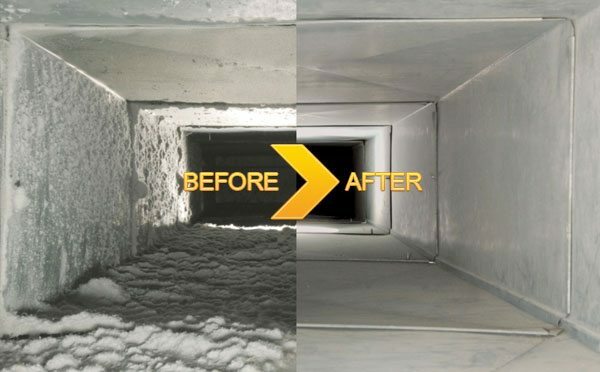 Let us improve your indoor air quality by cleaning out your air ducts, returns, and disinfecting your ducts from mold, mildew, and those pesky allergens. Our equipment allows us to use a camera to see and record the inside of the duct. 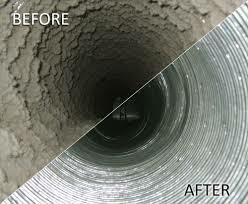 Our air duct cleaning unit pulls 4500 cfms and is capable of doing commercial type jobs. The unit is remote controlled which allows the brush runs up & down the duct breaking the dust free from the walls, then is sucked up through the unit. The brushes go from 4″ to 30″. Dryer vents are on of the leading causes in house fires. Your dryer vent should be cleaned periodically. Ultra Clean Floor Care can not only clean your dryer vent, but we can install a sensor to your dryer vent that will let you know when and if your dryer vent becomes clogged. By doing this you never have to worry about a house fire from your dryer.